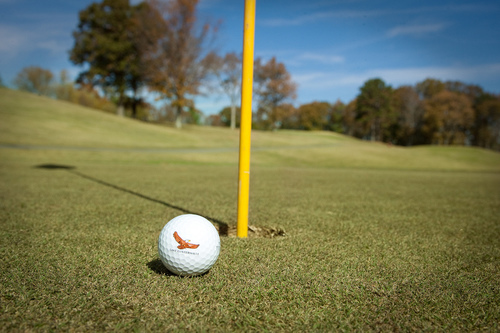 The Eagle's Nest Golf Course at Lake Guntersville State Park is your premiere golf destination! Our golf course underwent some major renovations during 2009 and now features Dwarf Bermuda Tiff greens as well as a state-of-the-art irrigation system. The renovation and redesign of the golf course was done in cooperation and guidance of pro golfer Jerry Pate. Unique on its own, the golf course at Lake Guntersville State Park is located on top of Taylor Mountain, adjacent to the Lodge & Convention Center, and offers golfers majestic mountain scenery. Elevation changes throughout the course make each hole an exciting challenge.